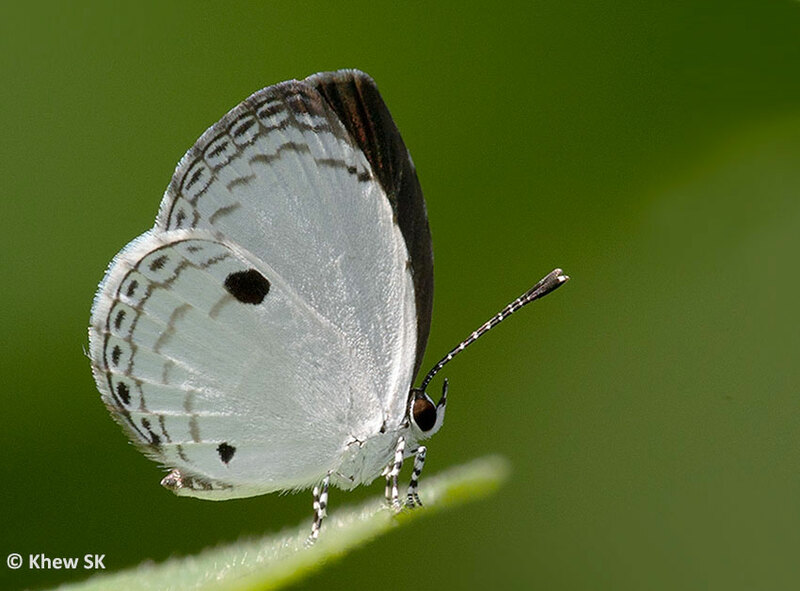 This small butterfly is usually associated with the shaded understorey of the forested areas in Singapore's nature reserves. Seldom seen in open urban gardens and parks, the Quaker is usually encountered fluttering restlessly amongst the low shrubbery in forested areas. Occasionally, males are encountered puddling with other butterflies on damp streambanks in the forest. The Quaker has the characteristic large black spot at the costa of underside of the hindwing. The upperside is predominantly brown and unmarked in the male, and sometimes with a white patch on the forewing of the female.